With the sun streaming through my mum’s open window, we all sit together sharing our thoughts over tea and biscuits. Kayleigh (our seven year old grand daughter) pulls out her note book and wearing her beautific smile, her piercing blue eyes meet mine. ‘Please Gog…I need to interview someone from the olden days.’ All I can hear is the hysterical laughter from my family members and I take a deep breath and I get down to answering some questions. Question 1 ….What did elephants used to look like in the olden days? Question 2…..What has changed about elephants, rhinos and lions in your life? 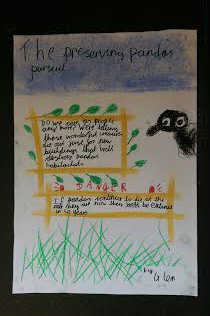 Answer…..They are becoming endangered because they are being poached. This is sad and lots of babies have NO mothers! 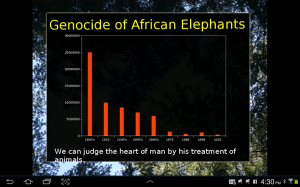 Question 3….Why are they poaching these animals? Answer…The poachers sell the animal’s body parts like tusks, horns and lion bones. This is illegal. Question 4….What are we doing to help? What do you do to help? 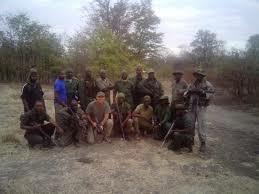 Answer… We support Chengeta Wildlife who train anti-poaching rangers in Africa to stop them killing wildlife. 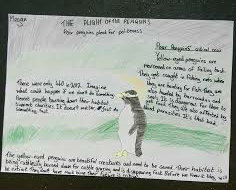 I write a blog to educate people through poetry and up to date articles on wildlife. 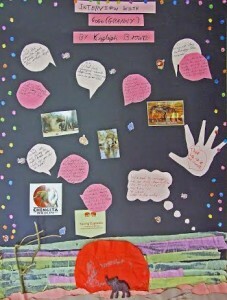 Kayleigh’s thought….We need to change…if we don’t, there will be NO ELEPHANTS, NO RHINOS AND NO LIONS left in the wild! Their life is in our hands. I am proud to share her project with you all. Her enthusiasm for her project filled me with such pride. My poem is dedicated to Kayleigh and all young people with compassionate young minds and huge hearts. Our world needs these young custodians. 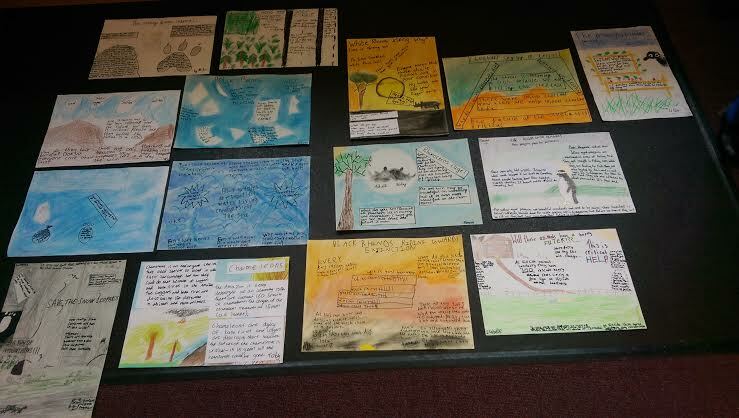 Over the last couple of months I have spent close on eight hours in the company of some special young people with inquiring minds and I am so proud to be able to share their posters and a few of their essays with you all. During my last visit, I was privileged to be able to speak to each student about their chosen subject for their posters and essays and I was thrilled by their enthusiasm and passion. 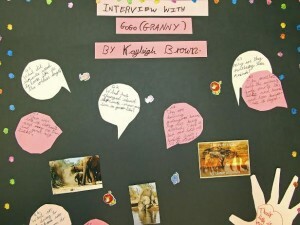 It did my heart good to listen to these future custodians telling me how they had done their research and it was exciting to see that it was not only the large iconic animals that were appealing to these children…but tragically, the common thread throughout is the interference from the ‘two legged creature’. All of the children are aged between 9 and 11. The worst thing I’ve ever seen is a beached whale. The whale’s lying there like an exhausted dad after he’s got home from work. Only this whale was motionless, like it was waiting for something. But I knew that it was dead. A harpoon-shaped hole in its body. I made a promise to myself that I would try to stop the horrid thing known as whaling. If you are wondering how many whales are alive there are 1,500 to 2,500. These creatures are being hunted. The problem is that if these species go extinct there will be too many krill and the ocean will be filled with krill and there will be no space for other sea creatures to live. Later on they made a company that was called the International Whaling Commission, the IWC. You can join or support the IWC to help these poor creatures. Black rhinos used to thrive in Africa. Now they are critically endangered. Every day rivers of blood lash out of the black rhinos. I’m certain that in their ancient minds they would say why? Why would you do this? I have children to look after yet you shoot me, rip out my horns like you don’t care. We need to help them. Their horns (made of hair) are taken from them. In the USA, the black market sells black rhino horns for $30,000 per pound. They are brutally killed and have their horns hacked off. Northern White Rhinos are becoming extinct. Only six remain, all in captivity. Their horns cost more than gold or cocaine! If they were in the wild they’d live in grasslands and savannahs. They were poached for sport and for their horns. This is a real problem because only six remain in the world. These knights in shining armour used to roam freely and weren’t afraid to fight. In a couple of years the Northern White Rhino will be extinct. It may be too late to save these magnificent animals but it isn’t too late to save other like the Southern White Rhino. There are less than 14,500 Southern White Rhino left. These live in the southern part of Africa. Poachers shoot these knights in armour then cut their horns off. There is enough time to save the Southern White Rhino and to stop this terrible sport known as poaching. All it takes is a group of people to care for these animals. We can’t let both die out. So please help; if they could talk they’d tell you themselves. 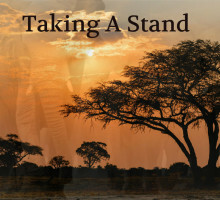 And together we will stop poaching. Thank you for your time and help. Why? Why is my only question. Why is it that poachers can be so careless and selfish enough to kill the magnificent white rhino? To be honest I think poachers are more of a beast than any other animal. Trekking along, these harmless creatures roam freely, only to be shot with a silver bullet going straight through its protective armour. Sadly, due to poachers, one or two white rhinos are lost per day. Poachers use these valuable horns for decoration and trophies but they are mainly ground up and used in traditional Chinese medicine. Due to poachers cutting off the rhino’s greatest possession, the horn, rangers now are forced to do the same except rangers do it humanely. 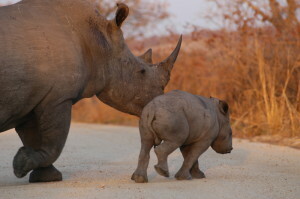 This helps because if a poacher sees a rhino with no horn they will know that means no treasure and they will move on. I feel people should acknowledge this. These knights in shining armour have more courage than any other human knight, risking their life with every step they take along the unforgiving grassy African plains. I know that if this over-sized beast could talk it would ask you to support the white rhino charities, but it is just too weak so I am asking you on behalf of them. Chameleons is an endangered species. They need shelter to blend in with their surroundings but now they can’t do that because of loggers and bush fires in the Amazon. 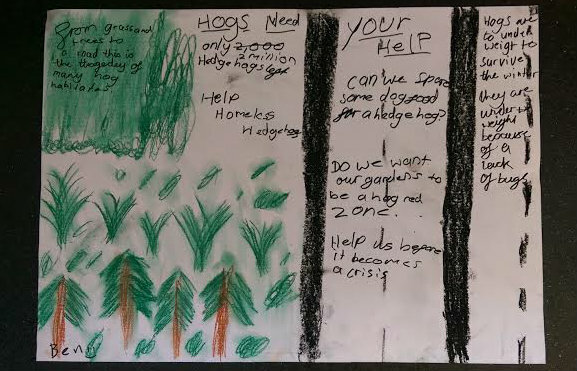 The loggers and bush fires are destroying 150 different habitats and more animals. The chameleon, slowly moving but tight on the branch. Staying still waiting for a buzzing fly to come past…suddenly…the chameleon’s tongue whipping out to get the fly, they never miss a shot. They blend in with their surroundings keeping an eye on what’s going on left and right. It’s amazing how they change colour to their surroundings, from the tops of the trees to the roots of a bush. 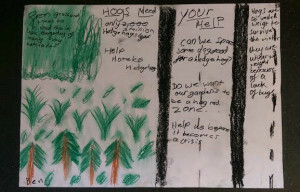 You could spread the word or you can start a campaign to stop loggers from cutting down trees. So please try and stop loggers for chameleons. s living room and somebody can say “Ooh, that’s nice.” Lives like this of the innocent snow leopard are lost every single day. People are pretty much the main reason for snow leopards dying out. 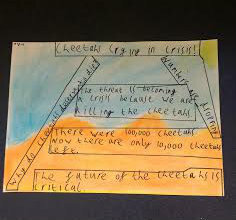 If we want to expand we just do it, no thought about what effect this will have on the eco-system, the mountain habitat washed away, and with the habitat goes lives, snow leopards. Beautiful, sleek powerful legs so elegant. They waltz around the mountain, spot a human and bang! An innocent life lost. If snow leopards become extinct it will have a massive effect on the eco-system. Many different things will happen, herbivores will destroy all plant life, meaning their extinction and bees will not be able to make honey or pollinate flowers. So as you can see the impact will be huge on the eco-system. So help stop this! 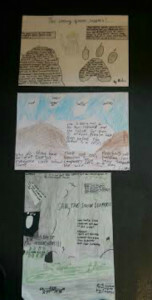 Some ways to stop snow leopards dying out is to adopt them through WWF or other companies dedicated to saving animals. This will have the animals placed in care and people will help them. 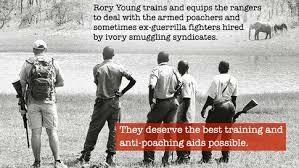 They will also train people and help to arrest these ruthless poachers, those without souls. There is hope; although those emerald green eyes will not shine again, many others can. Snow leopards are the most magnificent creatures; your eyes are immediately hypnotised by their beauty. But do you know about the war between the snow leopards and the poachers? If not, may I say the snow leopards are losing? Unfortunately to say these amazing extraordinary creatures are being poached: only 3,500 to 7,000 are left in the world – if you don’t do something about it then they’ll become extinct. Why should these poor innocent creatures deserve to suffer? They don’t. I saw one once at a zoo and I was blown away by how precious these creatures are 0 their round, dopey eyes look sad yet at the same time their smiling, curious creatures make me interested by their mind blowing darkened gown topped with the crown jewels of snow. I love these creatures and it would break my heart into a million pieces if my grandchildren couldn’t see them. When I saw one in the zoo my eyes were fixed on their green, emerald eyes, looking at me with disappointment then it turned around leaving me ashamed. The large adult male stands tall like a soldier ready to defend its family 0 snow leopards are just like us, they defend their family no matter what. Due to this my dream would be to see a snow leopard in the wild in their winter wonderland habitat where the mother of the lot watches the favourite prey, wild goat! She would let out a loud shriek, then two smaller snow leopards would come sneaking up camouflaged in the snow playing with each other – their think fluffy fur like silk would be hidden under the snow. Their big puppy dog eyes would stare at one another then once more carry on playing. They are so sweet and amazing these creatures but they are dying. There is a way to stop this war and see the snow leopards rise up as the rightful king of the snow! If you share the same passion for snow leopards then get involved, learn and see what you can do. Put a smile on their face for a change. It would make the world of difference. 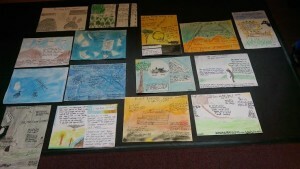 WONDERFUL POSTERS FROM A CLASS OF CARING CHILDREN. CLASSROOM. IT HAS BEEN AN EXHILARATING AND SPECIAL EXPERIENCE FOR ME. I was approached about six weeks ago and asked if I would be prepared to share some descriptive writing passages from my Jennys Jumbo Jargon with a class of 9 to 10 year olds during their English lesson. I was thrilled. I spent roughly two and a half hours with this class full of hungry minds and I was captivated by Rebecca’s teaching methods and how responsive and inter-active the children were. This coming Wednesday 25th, I am going back to this same class of children to talk to them about my blog, elephants and Chengeta Wildlife. We will then read through a couple of extracts from a few of my blogs and discuss their purpose, how they persuade and the different choices of vocabulary etc. I am beside myself with excitement at sharing my passion of Africa’s untamed splendour where earth drifts into heaven, elephants and of course Chengeta Wildlife…which I am honoured to be a part of. One only has to look at the shrinking natural world to know that something has gone sadly amiss. This group of children that I will be spending time with are a minute part of the future and as custodians of the planet they need to embrace kindness and respect towards this earth. I have been privileged to grow up in this timeless land and can close my eyes at any given time and smell the sweet breath of the warm wind as it scoops up the flaxen dust before freckling it over my sun browned arms. I can listen carefully and hear the veld gently breathing before the silence shredding cicadas fill the afternoon. The feeling of awe and heart pounding joy of being in the presence of elephants as they rumble past leaving you with a warm musky scent of Africa filling your nostrils is tucked away safely…and brought out for those quiet times. There is a joy and curiosity in the delicate sun rays peeping through the wet canopy of trees and I am hoping for the same results from these kids on Wednesday. I want them to close their eyes and fall under the spell of these ancient beings…to surrender and to be encompassed by the invisible aura that surrounds these magnificent animals and to share and feel their presence even though we are 7 000 miles away. I want these children to feel the magic that these animals exude as they reach deep into the human soul in a mysterious and mystifying way. 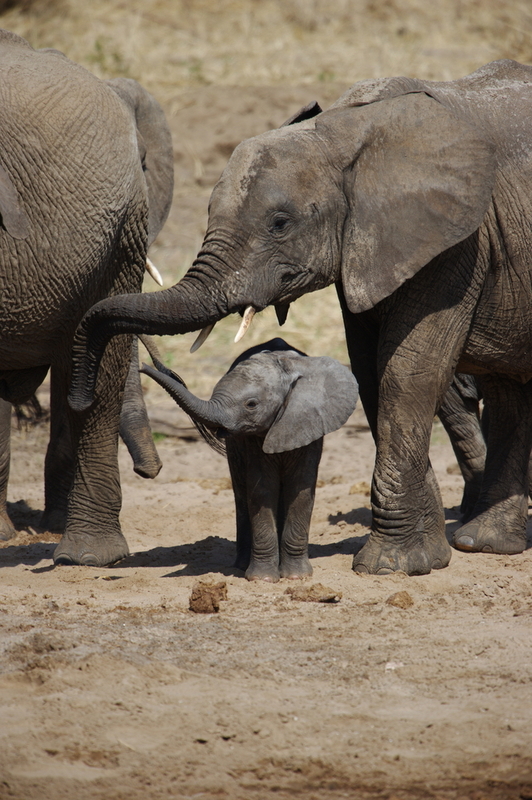 Elephants are the largest land mammals on earth and also the most emotionally human. 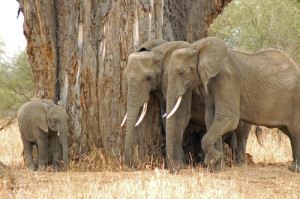 The breeding herd of females are led by the matriarch, a wise mature female whose herd rely totally on her experience, memory and good leadership to survive. These breeding herds will live and form bonds that are forged over fifty years and once the matriarch dies, the leadership is normally passed onto one of her daughters who has learnt the necessary skills to take on this important position in the herd. Their intricate and complex family values rival our own and these enormous creatures carry their large heavy hearts on their sleeves. The noisy exuberance and trumpeting of baby elephants at a waterhole will mirror the behaviour of a group of young human children in a play ground as both species tussle and push…overjoyed at the freedom of space and sunshine around them. 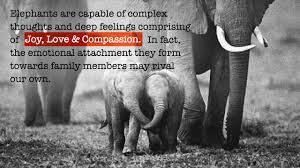 Compare a sulking 10 year old elephant to a sulking 10 year old human…there are such close similarities in the rate of growth and behaviour of the different personalities in both species. The joy of a new family member and the gut wrenching sorrow of death affects both elephants and humans in the same way. There is something special and endearing about elephant calves… they exude the very essence of life. We will discuss the evils of this rampant destruction sweeping through the sun kissed bush of the Continent devouring these magnificent animals and other wildlife with the hunger and ferocious appetite of a Tsunami wave. Plants and all living creatures are functioning parts of the ecosystem and nature should be our teacher….and our guide. I will see the frowns on their little faces as I tell them that 100 elephants are killed every day..frozen in time… forever. 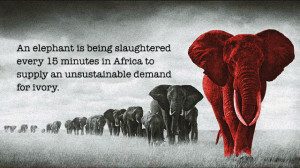 This amounts to one every 15 minutes…all slaughtered for ivory bracelets, trinkets, chops sticks and carvings. 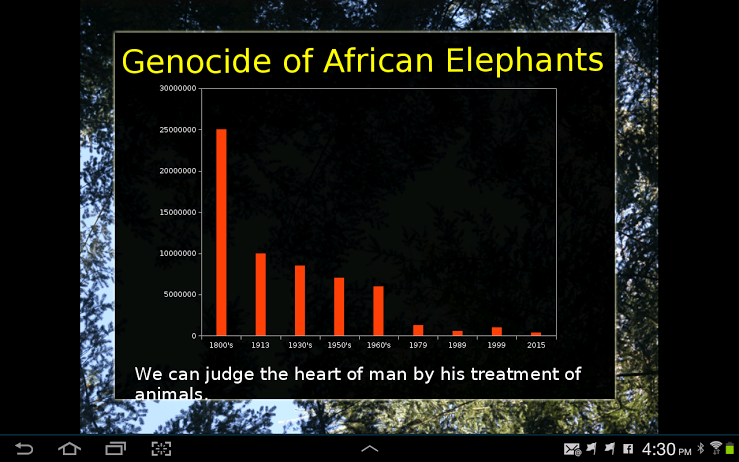 We will examine the ‘true cost of ivory trinkets’. We will have a brief look at how the poaching is breaking the continuity of information that is passed down through the generations…information that is vital to the well being stability of the herd.. I will explain that I spend so many hours of my spare time writing my blogs and poetry as I cannot sit idle…pretending that this tragedy is not happening. Apathy is the biggest danger facing these sentient giants and other endangered species. 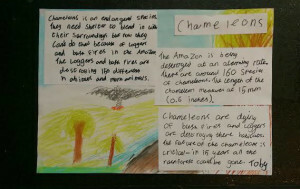 The class will have spent time before my arrival having a look at the Chengeta Wildlife website. I will discuss the fact that Rory is a dad of two who is passionate about the wildlife and dedicated to preserving the African biodiversity. 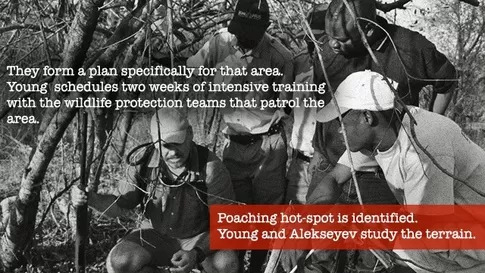 Rory has the knowledge, skills and ability to train the ‘anti poaching units’ in the different African countries enabling these rangers to confront the horrific and urgent problems of poaching head on. 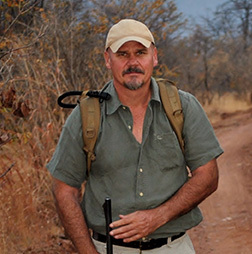 He is a selfless man driven by an urgency to share his knowledge to protect….not only the wildlife but the rangers themselves whose lives are at risk from these violent and ruthless poaching syndicates whose eyes are steaming in their own malice. 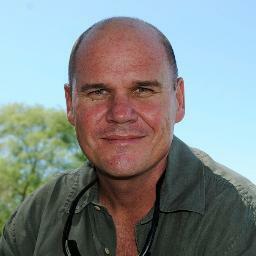 I am on Chengeta Wildlife’s board of directors and a part of our mission is to raise funds to enable Rory Young to share his knowledge and skills throughout Africa. We are an important part of creating a future for these animals…ensuring that your children will not be asking in 20 years time why elephants, lions and rhinos are only found in zoos. 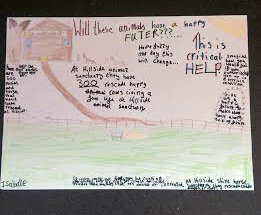 These children will then discuss any other environmental challenges needing attention..deforestation, plight of the polar bears in the Arctic and I will be sharing some of their work with you all in the near future. 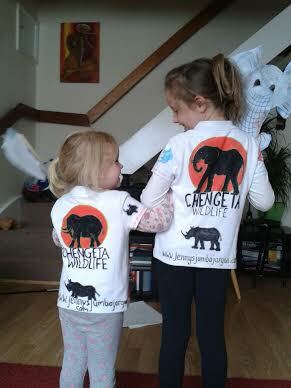 Wish me luck and please keep sharing our Chengeta Wildlife website. Wednesday will be good practice before our presentation at a Rotarian dinner in March. WE ALL HAVE A VOICE…HELP TO RAISE THE AWARENESS. 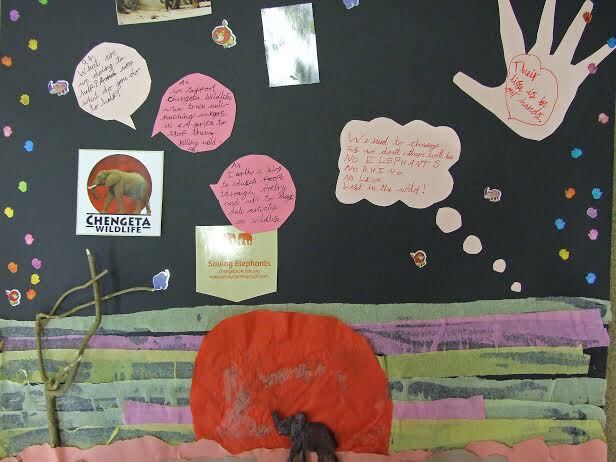 YOU TOO CAN SUPPORT CHENGETA WILDLIFE. ‘Why do you call this strange looking tree the ‘Tree of Life?’ A pair of deep blue eyes twinkle as she stares up at me. 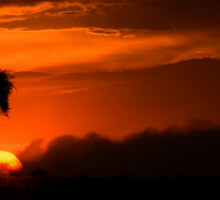 ‘The enormous baobab tree reaches out embracing the golden warmth of early morning Africa. The leaves shimmer as delicate sun rays bathe the bush in a mellow coppery glow. An echo like a mystery surrounds the magnificent tree…a tree that plays a special role in the African bush. 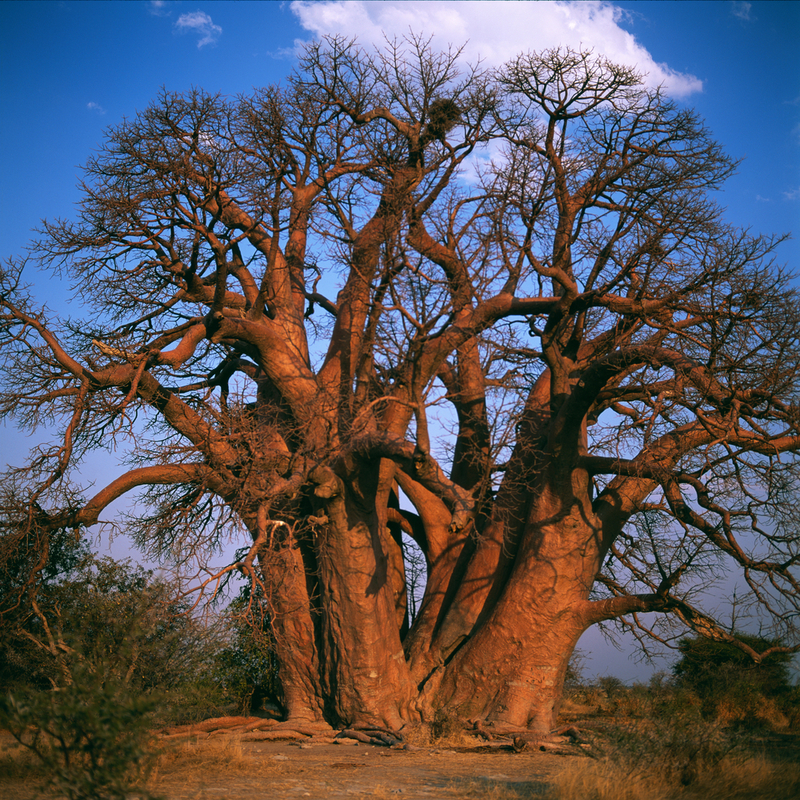 With a trunk and branches that are twisted like powerful tendons of the veld, the mighty baobab boasts of being the most handsome and strongest of all trees. 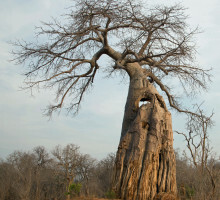 It has a network of roots that worm their way so deep into Mother Earth that they can feel the quiet, and the baobab can still quench it’s thirst when all around…the veld is parched and dying. With flowers that bloom at night and roots that survive deep within the darkness of the earth, the baobab has good reason to boast that it alone can bear the weight of the sky and clouds.’ Her little face is totally focused on mine. ‘No…I don’t think so…but again,’ I raise my hands and wiggle my fingers at her, ‘I was not on earth thousands of years ago and they say it takes 800 years for this magnificent tree to reach maturity.’ I have lowered my voice to a whisper. ‘But, the earth and trees do play music to all those that listen.’ I lean forward. ‘What stories do they tell, Gog?’ A small frown furrows her brow. 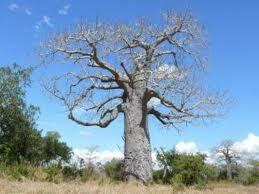 ‘The baobab has ears and hears many secrets. It smiles down on many miracles of nature that happen daily and also frowns down on some of man’s menacing ways. These trees see and hear everything. They are privy to ‘the miracle of birth’. 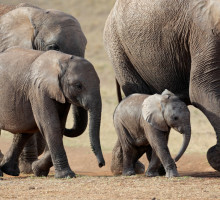 (a clip of an elephant birth in the wild.) The baobab’s branches quiver with anticipation as the female elephant bears down, a grimace of pain crossing her expressive face. Agitated and excited, the female herd push and tussle forming an impenetrable wall of tusk and muscle around the new born as she lies vulnerable and gasping her first breath of precious life giving air. 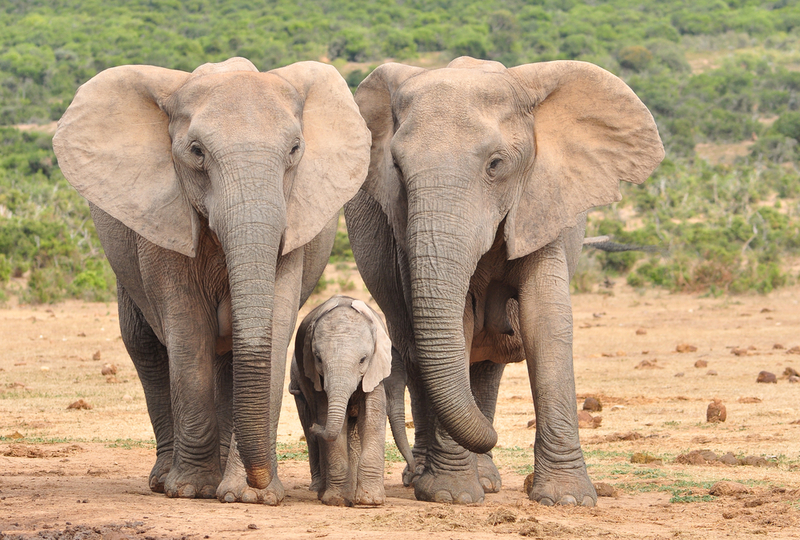 Temporal glands flow as the tight knit sisterhood encourage the baby with their powerful and versatile trunks onto her large padded feet. 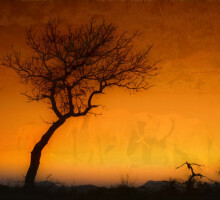 These noble animals are the essence of Africa…they are the soul of Africa, ancient and strong…just like the ‘Tree of Life’ who relaxes with a contented sigh. ‘Is that why you work with Chengeta Wildlife? 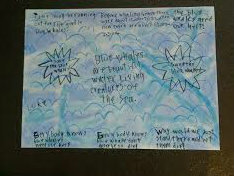 She asks and my heart sings because she gets the gist of the story. I nod vigorously. She takes my hand, squeezing it tight. ‘ I want to be a part of the solution too.’ She smiles. You too…can be a part of the solution…take a look at our website. ‘We have booked ourselves a trip to South Africa.’ Her blue water colour eyes and cheeky smile stare at me across the office desk. I feel the little green monster clawing his way up my back and onto my shoulder. ‘I knew you would like to know.’ She is one of our youngest residents at the Assisted Living Complex where I work. ‘Oh my word.’ I can feel my heart thumping with excitement.. I cup my chin in my hands and meet her gaze. ‘You are so lucky. I can already feel my mind easing into bush mode.’ She chuckles and I can feel her excitement. ‘You will be paying a visit to Kruger?’ I ask. ‘Mmmm..I am not sure. We have been there before and I do feel that once you have been into the African bush…you have seen the bush.’ I can feel a look of amazement creeping across my face as she continues, ‘and once you have seen an elephant, what else is there to see about them? They are just animals.’ A furrow deepens between my eyebrows. ‘Have you got five minutes?’ I grin. ‘I will help you to find a little magic in the African bush.’ She nods and sits down with a funny little smile lifting the corner of her lips. ‘Do yourselves a favour. 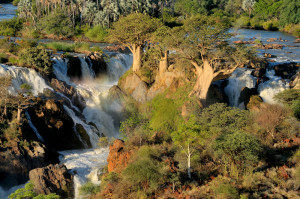 Venture into the sun burnt haven of Kruger, feast your eyes and open your ears. Listen carefully as the land is full of song. ‘Natures Chimes’ I call them. The whistling wind, the mournful call of the dove, whispering leaves and the gentle hum of midges Keep listening and you will hear the high pitched bark of the zebras, the chatter of monkeys and the insane giggling of the hyenas. When you find a baobab tree, inspect it closely…in the safety of the camp. They are amazing and create their own ecosystem. They support the life of countless creatures, from the largest of mammals, the elephants to the thousands of tiny creatures that scamper in and out of its crevices. Birds nest in the grotesque branches; baboons dine on the fruit; bush babies and fruit bats drink the nectar and pollinate the flowers. While broody birds police the trees, don’t be put off by the call of the ‘go away bird’. Search the sky for a glimpse of the magnificent Martial Eagle as he cruises the empty air pockets and soak up the resonant calls of the glossy starlings drifting on the wind. You might be lucky enough to catch sight of a tawny lion slinking through the trees. Enjoy the sweet scent of steaming buffalo dung that invades your senses and admire the endless horizon stitched across the sky.On Nature’s grand stage, embrace the sticky breeze caressing your bare arms and throw your soul to the wilderness. Powerful, dignified and awe inspiring comes to mind when I think about elephants. 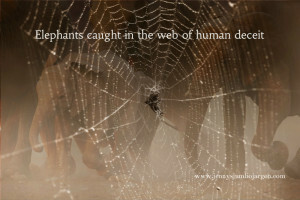 Hil, an elephant’s body might be vastly different from our own, but their behaviour is so human. 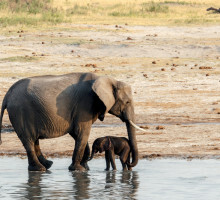 Watch a family of elephants frolicking at the water pan. They are a noisy vibrant mass of exuberance anxious mums keep an eye on their youngsters…hauling them out of deep water with powerful and versatile trunks. Enjoy the show of humour as they play tricks on each other, tumbling around with joy while one little loner displays a show of jealousy and throws a tantrum…stomping out of the water and literally turns his back on the gleeful sounds. 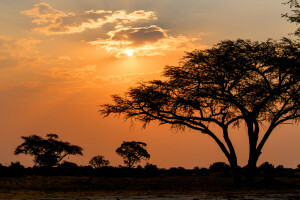 Close your eyes and feel rather than hear the subliminal rumble as they amble up the sand choked gully, stopping to strip the bark off a wizened baobab tree, their creamy tusks gleaming in the sunlight. They exude the essence of life and despite their bulky appearance, they move like dancers..light on their feet as their soles spread to take their immense weight. 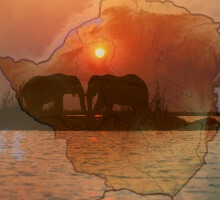 ‘The colliding of two giants’..where elephant and Continent meet. Hil, you think we are advanced in long range communications..we are.. but only by using equipment. 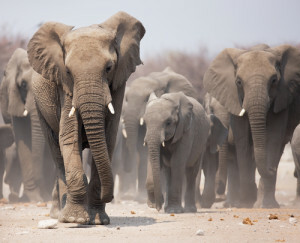 Elephants communicate with infra-sound over a vast distance which is inaudible to human ears and they also appear to have a broad vocabulary with many distinct calls that have specific meanings. Watch them as they march to a drum roll of Africa pounding beneath their feet and feel the air vibrating with the excitement of love and trust that bonds them together..a powerful ingredient and one that us humans could learn from.’ She is looking at me with a far away expression and I think maybe I am boring her. I raise an eyebrow and her eyes focus back on me. ‘Carry on..you have my attention.’ She laughs. 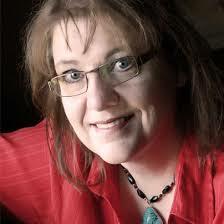 Three weeks later she came bounding into my office with a wide grin and twinkling eyes. Before I could say anything she grabbed my hand, ‘how long have you got?’ her laugh tinkles. ‘It was awe inspiring. We saw so much game. 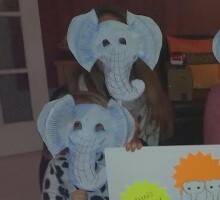 The elephants…were …just amazing. I did not want to leave them. We watched the breeding herd and I could feel their emotion. We watched as they all appeared to stop as one…lifting their trunks into the air…still as can be, before moving on. The ranger said they were probably receiving a message. 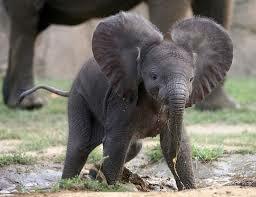 I loved their wrinkled coats and huge Africa shaped ears.’ She laughs. ‘Now you have me using your descriptions. Thank you for opening my eyes to what the African bush offers.’ She squeezed my hand. ‘We saw giraffe, lion, a variety of buck and rhino.’ Her voice falters. 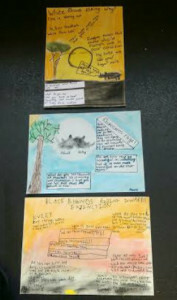 ‘The rhino are being poached at an alarming rate. It is tragic. I know you had told me but I had never felt connected before, but seeing them this on this trip and looking at them through fresh eyes I can now understand your fear. These beautiful animals belong in the African bush. It is their home. Before I left, you told me that you were on the board of directors of a group?’ I nod feeling close to tears. ‘Yes, I am on the board of directors for Chengeta Wildlife. We offer a comprehensive training to anti-poaching units through out Africa.’ I wipe away a tear that has crept out and down my cheek. She has made me feel so homesick. ‘I am sorry I did not buy any of your calendars.’ She smiled. ‘I wish I had. I did not want to leave Kruger you know.’ I nod, fully understanding that she had now left a huge chunk of her heart buried deep within the sun kissed African bush. We sit in comfortable silence and I hold onto that thought keeping it close to my heart and I feel her emptiness..we are now connected by an invisible bond. ‘Yes, Hil. I can fully understand how you feel. I am a child of Africa..it is in my very being. Each animal that is slaughtered for greed…I feel the pain. That is why I am determined that I will promote Chengeta Wildlife as I have huge belief in what we are going to achieve. 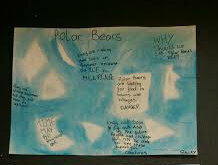 We are a force for good and we are a part of these animals future.’ I hand her a web site address. I know she will have a look and see that we are fundraising. As she disappears, there is a feeling of peace in the office and I smile…one more convert. 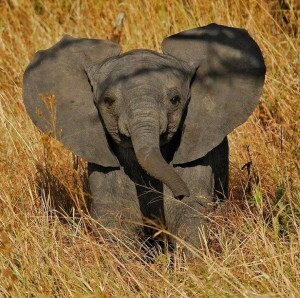 My first recollection of seeing a herd of elephants was on my 5th birthday. They were gigantic, wrinkled and grey. I was sitting cross legged on the wooden floor of a viewing platform overlooking a water hole in the heart of the Hwange Game Reserve. The sleeping water reflected the gilt edged clouds scudding happily across the painted sky and noisy doves policed the mopani woodlands, their melodious calls filling the late afternoon. Looking back, I had not appreciated the freedom of space, the warm breeze caressing my hair and the warmth of the wooden slats toasting my bum and bare brown legs. Small midges floated and whirred around my face… it was perfect, and much to my folks amusement, I announced ‘I saw them yesterday.’ And I continued to play with a doll with staring eyes and yellow hair. Well 50 years on, Hwange’s elephants are once again on my mind. Fingers of sunshine edge over the horizon and breaking free from the thick early morning cloud, they probe deep within the shadows of the teak woodlands. In the warm friendly wash of early morning sunrise the distinct smell of moisture carries on the breeze: a seductive breeze full of promises of much needed rain for this unspoiled bush. Baboons with an excited air of expectation that only the pink wash of dawn brings, stretch, creasing out the night’s wrinkles before leaving the safety of the trees to begin a days foraging. With the leader barking out instructions, the troop ease out of the shadows and into the sunlight, small babies clinging fearlessly to their mother’s undercarriage. 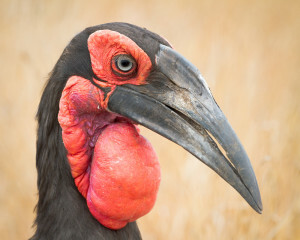 The drum roll duet from a pair of Southern ground Horn bills echoes out as the males deep red creased wattle inflates like an old pair of bellows as he welcomes the early African morning. These gigantic birds are monogamous, pairing for up to 30 or 40 years, unless their mate dies. Scaly blue headed lizards bask on the exposed rock enjoying the warmth of the African sun on their bellies as well as their backs as one large rolling eye keeps focused on the wide sky looking for predators and the other eye strays onto a squadron of flies as they buzz low over a huge pile of sweet smelling buffalo dung. 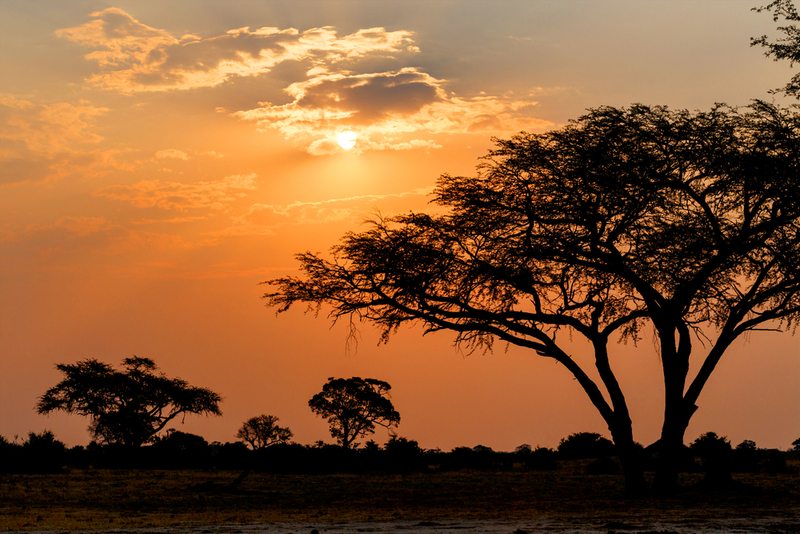 Hwange is a special corner of the world: untamed bush and spectacular wildlife. Loping giraffe rise up and stand tall against the thorn veld and mopani woodland while prison garbed zebra lower their heads, large teeth mowing and chewing, ears twitching and eyes watchful. 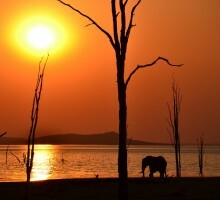 Hwange is Zimbabwe’s largest national park and home to in excess of 100 mammal species and covers 14 540 sq km. During the crisp dry winters and droughts, the animals are entirely dependent on a network of artificial dams and pans fed by boreholes. The park’s mix of habitats means an unusual biodiversity offering a sybaritic feast of eclectic bush rich in bird life and 108 different species of animals. Hwange is home for large herds of lumbering giants and a magic quivers in the air as the subliminal rumble can be felt rather than heard. Elephant family units will split, normally due to a shortage of food in the area. These family units remain united, congregating at watering holes and favourite feeding spots. Meeting up with members from the other unit is also cause for celebration. As vultures whirr high above this sun baked paradise, below the two herds of elephants begin to call out to each other from a quarter of a mile away. Getting closer, they pick up the pace with temporal glands streaming. Once they have spotted each other, they start to run: a large mass of bubbling exuberance and noisy splendor. Making contact through a swirl of golden dust, these mighty creatures embrace: ears flapping, tusks clicking, leaning into and rubbing each other: all the while urinating and defecating. Spinning in circles, they encompass the world with their joy and a cacophony of trumpeting screams and rumbles shred the air. Happiness and joyful is their reunion. 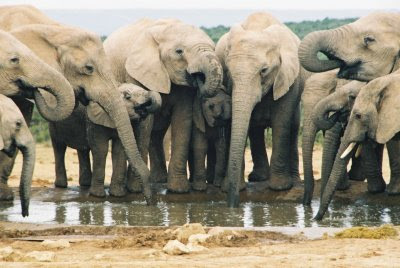 These gregarious animals lower their trunks into the watering pan sucking up deep drafts of sweet life giving liquid and quenching their thirst before throwing warm Hwange sand over their backs. 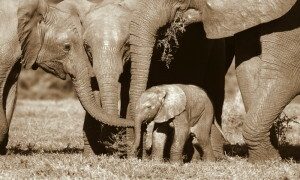 Small calves rough and tumble, their wrinkled trunks entwined and their shrill joyful calls filling the air. Their over sized creased coats are smeared with mud and their large Africa shaped ears fan the sultry breeze cooling down their body temperatures. A small herd of buffalo have retreated to the other side of the pan, flaring their nostrils and snorting their defiance. The lords of the land, their large trunks with deep fissures swinging free as they rumble their way back into the African bush…the womb of the universe. The matriarchal herd have formed bonds that have been forged over a life time of 40 to 50 years and all young calves remain protected in the bosom of the family. Young males will branch out tasting independent life at about 15 years of age and females will remain with the herd. Their relationship within the family rivals that of humans and they could teach the two legged creature a thing or two about family values and loyalty. 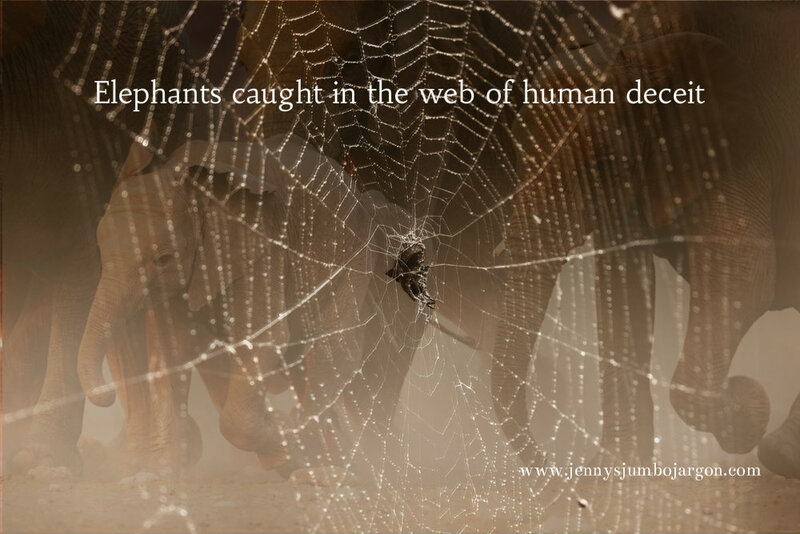 Elephants show all the best attributes of mankind with few of them displaying our darker sides. They share this paradise with a multitude of different wildlife. While big cats prowl, the kings proud and vibrant mane halos his strong face. His yellow eyes are focused as he crouches low, camouflaged by the bush. These predators work together: a perfect phalanx as the strangled cry of a young buffalo fills the air, and the excited cackle of the hyenas resonate as they close in, ready for battle with their age old enemies. These bush battles are as old as time and the winner takes all. Today, a much more dangerous force of predators are on the prowl. MAN. 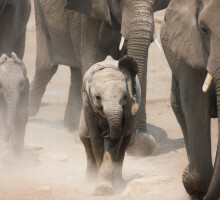 ‘According to an undercover wildlife investigator who provided information published in The Star newspaper, the elephant calves are being held at the ZWMA Mtshibi Animal Capture Unit’s holding centre, a few kilometres from Hwange Main Camp, where they’re being vetted for diseases prior to export. Cites have suggested that this is not illegal to export animals….however it is morally wrong. Zimbabwe, we have heard that one of these calves has died. They should never have been taken away from their mothers. This is a disgrace. Please take action and show your support for these sentient animals and the other wildlife involved in this crime. Please take a minute and sign the following petition.